with Christmas Letter -Get Camp By Dec 16th for gift delivery by Christmas. We can now email certificate for camp and gift box will arrive after 24th. Get in the camp week you want and at low fee as rates go up on Dec 24th . You will get a coveted gift box , with all camp signups , our past campers die for this and the golden ticket, a chance to win more riding time. All help hold them over until summer reaches them for our kids moto camp. Its the greatest Christmas gift parents or grandparents can give their child . 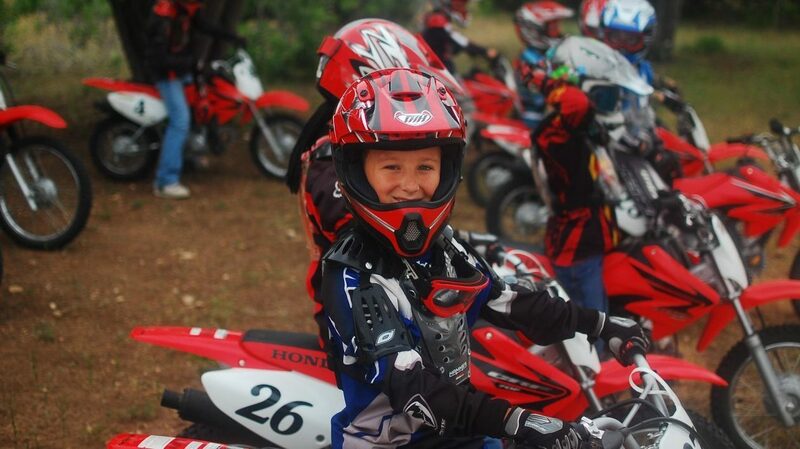 You will never see a child light up more with getting to come to a real motocross camp. Your child’s imagination goes wild with the thoughts of what’s to come and can’t wait for summer. You just gave the gift ! Riding dirt bikes, its a dream come true for most kids. Thank you for your interest in our motorcycle camp for children , you will never find a more exciting camp for your children !